Valentine’s Day is one of my favorite holidays because I love the pops of pink and red! I love to decorate for Valentine’s Day and I also love to gift my family small trinkets to remind them that I love them to the moon and back! Of course, no one needs to spend any money to show someone how much they care, but it sure is fun to receive a little reminder. Some of my favorite Valentines are homemade and contain a sweet touch both literally and figuratively. Adding some sweet candies like these NEW HERSHEY® Lava Cake KISSES chocolates from Walmart to a simple card, treats bag, mug, or jar sure is an inexpensive and easy Valentine’s Day gift option! I can find everything I need by shopping at Walmart, my one-stop shop for all things Valentine’s Day. You cannot deny that this bag of NEW HERSHEY® Lava Cake KISSES chocolates , available at Walmart, is the prettiest. 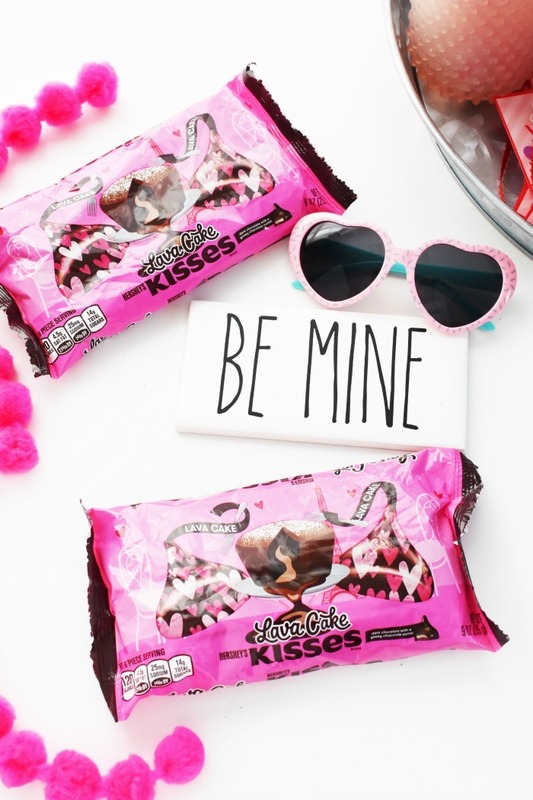 Inside are adorable, foil-wrapped HERSHEY® Lava Cake Kisses that feature pretty little hearts and a sweet taste! One bite reveals a rich, creamy, fudge-like center—just like a mini lava cake! 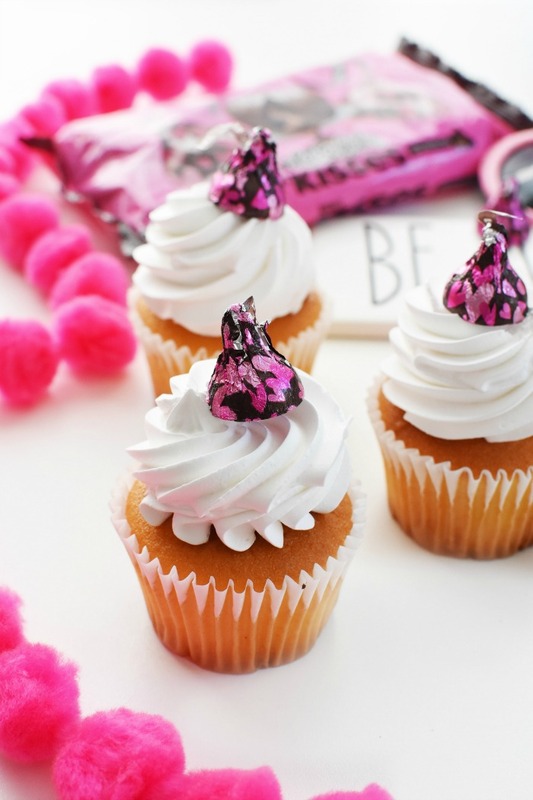 I basically am hooked on how delicious and pretty these HERSHEY® KISSES chocolates are! 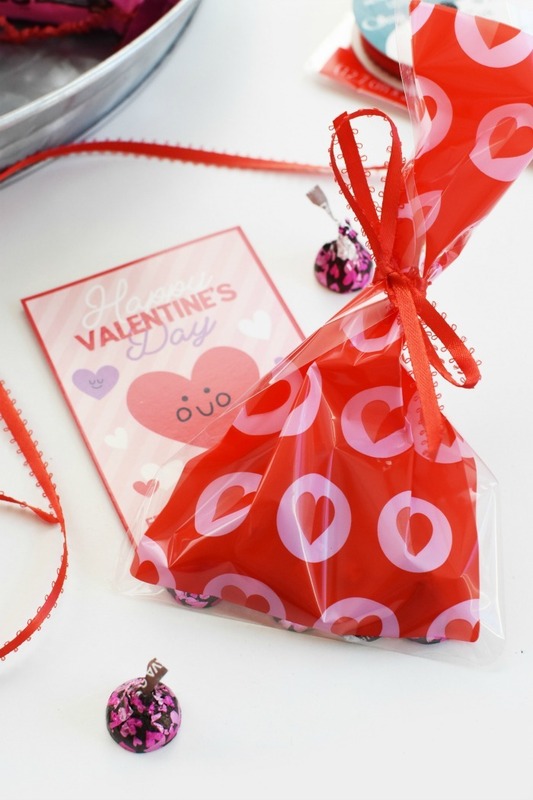 I love the attention to detail each candy possesses, and the fact that they help make some DIY Valentine’s Day gifts that much sweeter! 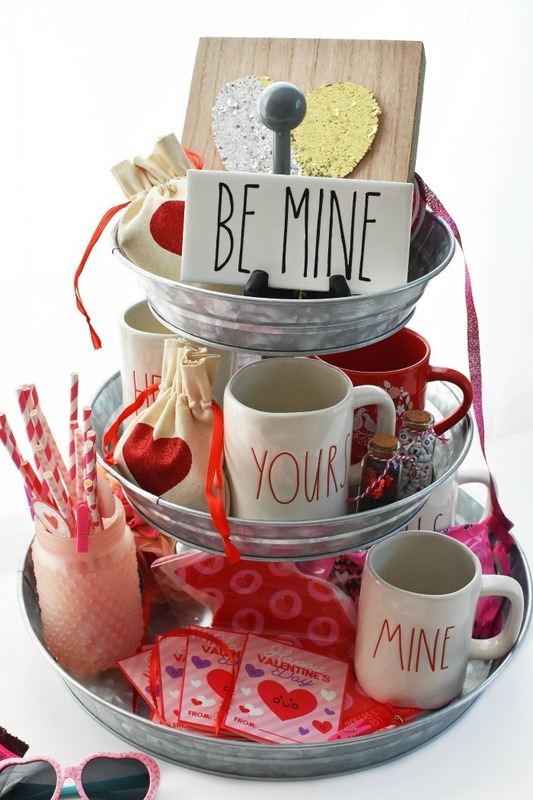 They also look fab on my Valentine’s Day themed farmhouse coffee bar! Check out some of my cheap, and easy DIY gifts perfect for that someone special on Valentine’s Day! 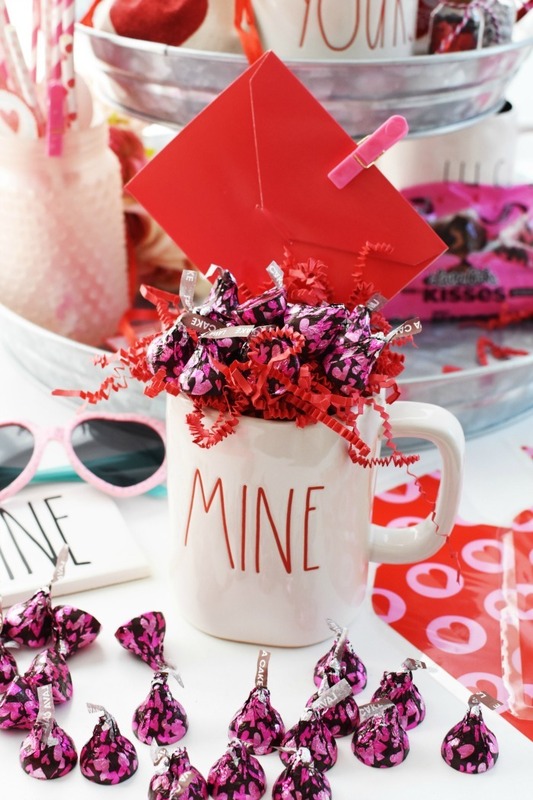 Pair a favorite mug with some of these candies! Simply stuff the mug with tissue paper, or fluff, add the NEW HERSHEY® Lava Cake KISSES chocolates , a small gift card and put it in gift bag or cellophane wrapper. Add HERSHEY® Lava Cake KISSES chocolates to a small treat bag and gift with a handmade or store-bought card. 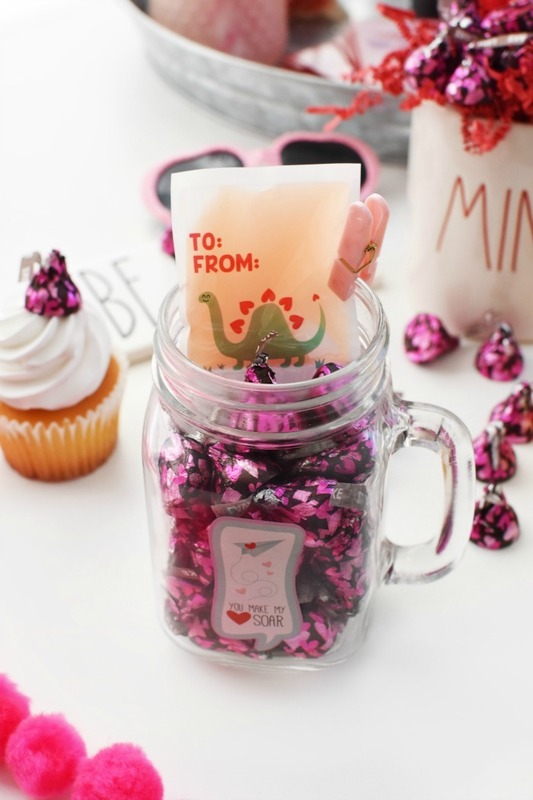 Take a plain mason jar, add a Valentine’s day decal to the front, fill with candies like NEW HERSHEY® Lava Cake KISSES chocolates and add a small trinket inside. I added a small slime pack to mine since my kids love slime so much! 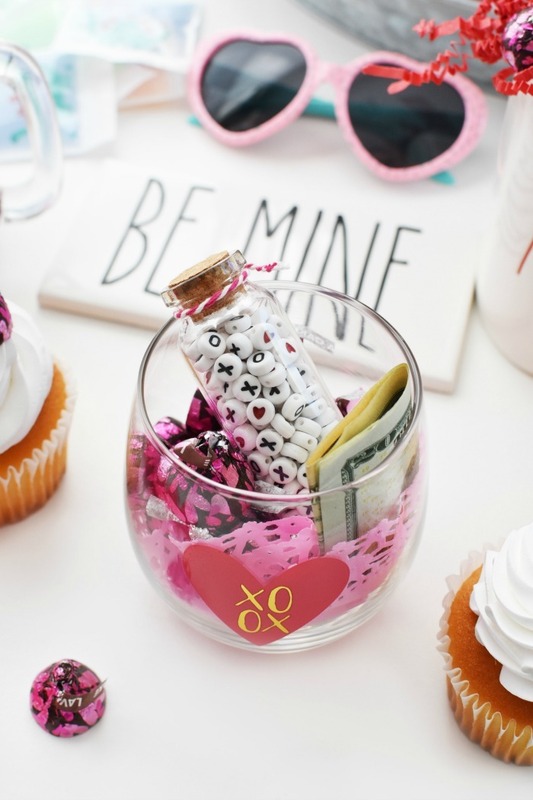 I purchased a cheap, $1 glass added a doily, candy, and a small trinket- so simple and so inexpensive but still adorable! Purchase a dozen of store-bought (or homemade) cupcakes and pass them out with a HERSHEY® Lava Cake KISSES chocolates on each. Add a small card and bring them to work for co-workers, or classroom parties. 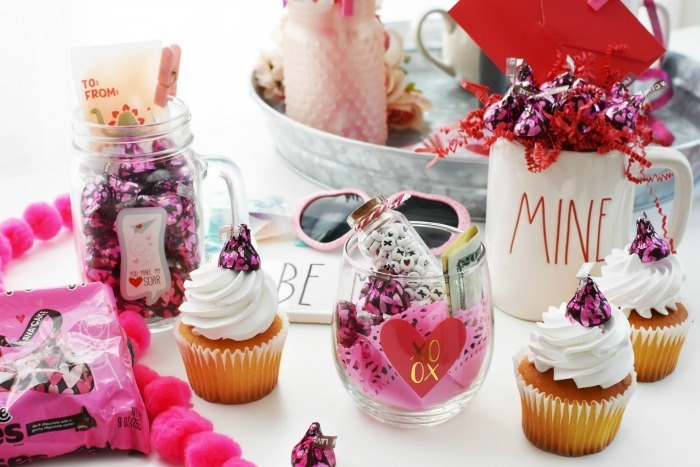 Which of these Cute Homemade Valentine’s Day Gift Ideas is your favorite? Will you be trying these New HERSHEY® Lava Cake KISSES chocolates? These are all so cute! I love to make homemade gifts like this. They’re so much more special. We are loving these candies!!! I love your ideas! These are perfect little gifts for my friends! I think the stuffed glasses would be a lot of fun to work on. They look adorable with the doily! Valentines is near and I am looking for the best gift that will not cost me that much. This is perfect! These are all soooo cute! Love the idea and that they are homemade! 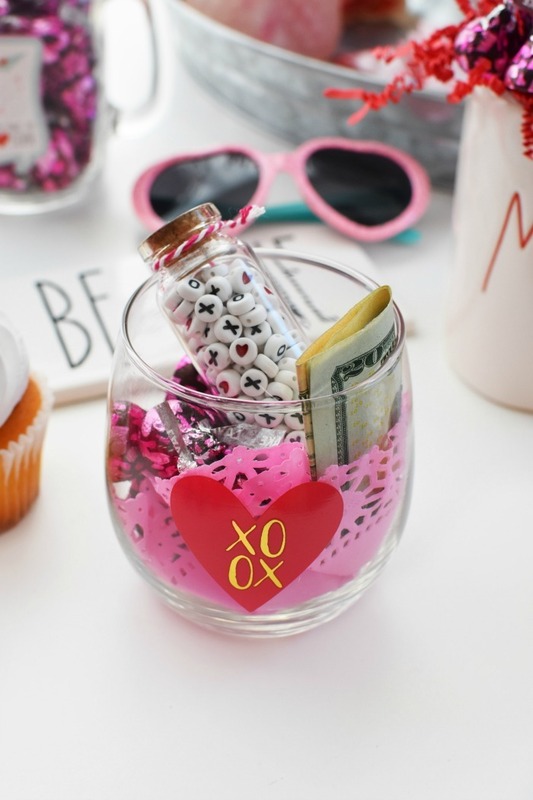 Such a great Valentine’s project! These are so fun and festive! I love these new lava cake kisses. They are yummy! This is so cute – I want to find these lava kisses. YUM! Lava cake is my sweet treat! So many cute ideas! I love the coffee bar idea. I so want to set that up in my house. Thank you for sharing! I love the home made Valentines. I want to do this for my kids. They can’t bring candy to school but making things on their own for their friends in school is also a nice gesture.